Manama, the modern capital of Bahrain, has been at the centre of major trade routes since antiquity. 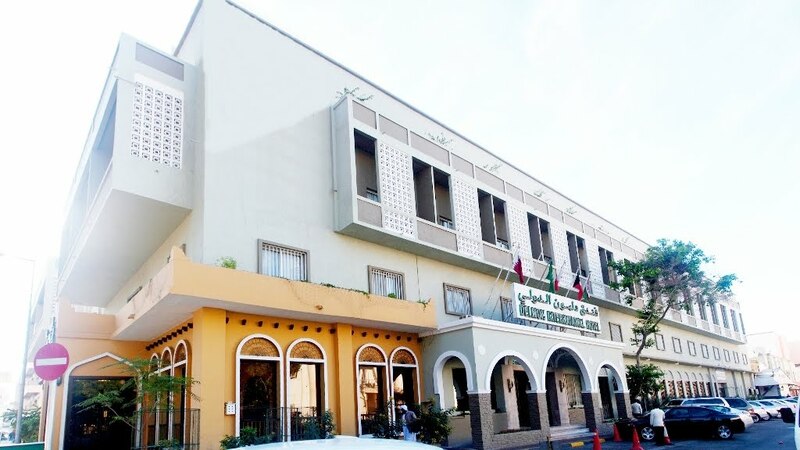 The Delmon International Hotel is a magnificent four-star property located at the centre of Manama. 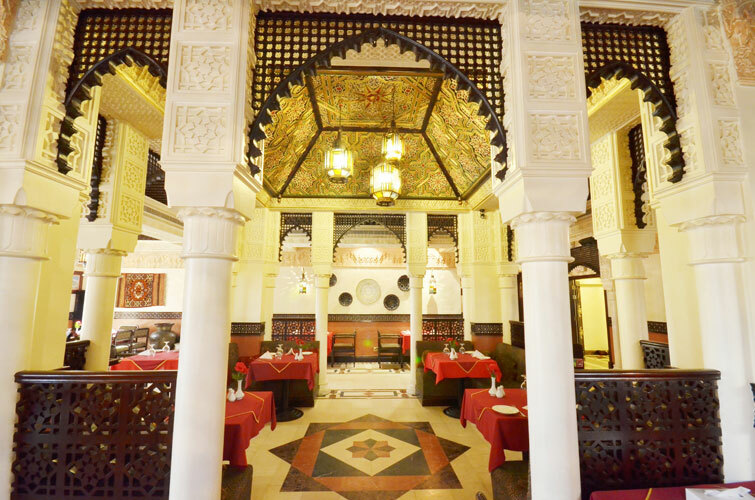 It is one of the finest offerings from the Caravan Group of Hotels and still bears the old-world charm of a bygone era. Popular tourist attractions such as Bab Al Bahrain, Gold City and City Centre Bahrain mall are all within easy reach and Bahrain Financial Harbour and the World Trade Centre are also situated close by. The 120 beautiful, bright rooms feature crisp luxurious bed linen and large windows that afford guests wonderful views of the city. Elegant accents of Arabic-style fabrics remind guests of where they are, while the high-quality, in-room amenities make them feel right at home. Satellite TV, free wireless internet access, designer toiletries, personal in-room locker, 24-hour in-room dining services and a minibar are some of the modern conveniences guests can enjoy during their stay. 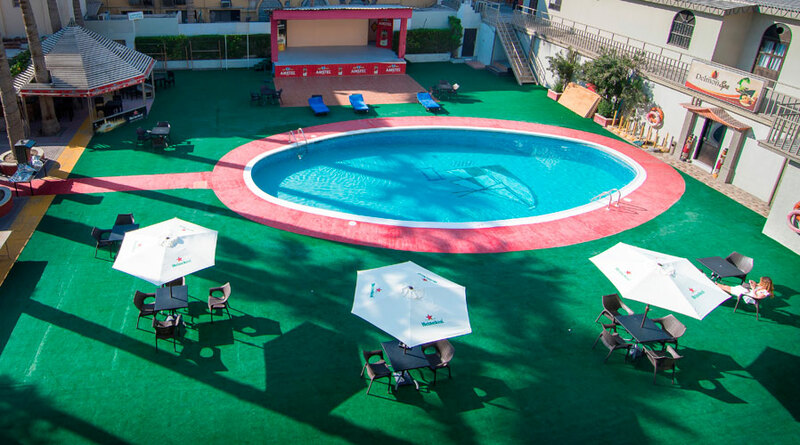 The hotel provides excellent facilities ranging from a large outdoor swimming pool and rejuvenating spa treatments to a concierge service and free car parking. 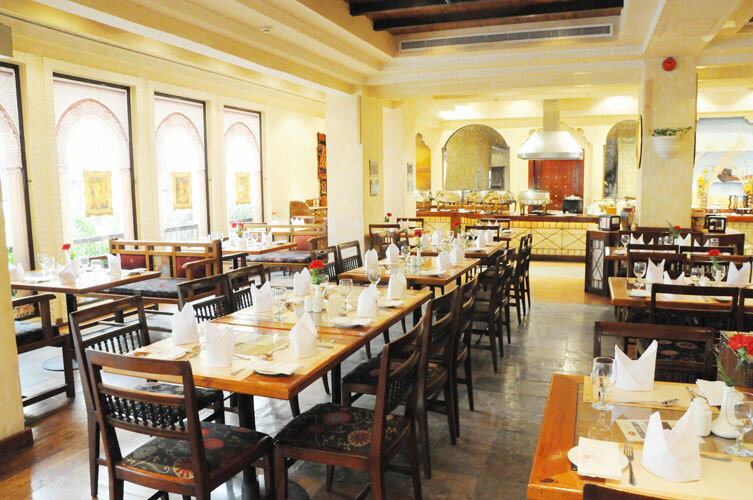 The Delmon International Hotel’s many restaurants are also popular dining venues for guests and locals alike, serving up a fine selection of international cuisines, Arabic favourites and an array of international and local beverages. 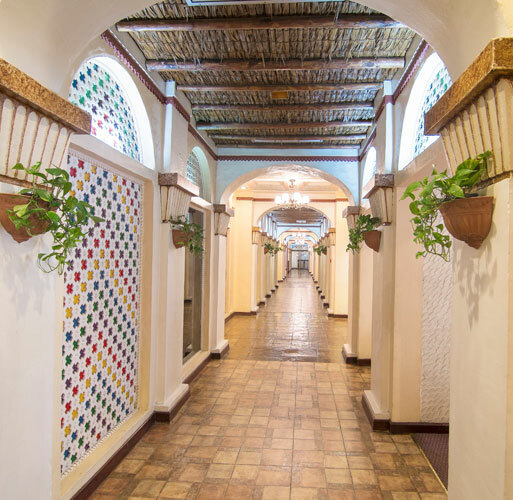 The most popular are Al Hamra, which provides guests with an authentic fine-dining experience, and the all day dining restaurant Café Sayah, where visitors can enjoy buffet and à la carte breakfast, lunch, dinner and snacks at their convenience. The large poolside is a hot favourite for conducting events, exhibitions and cocktail parties. The hotel’s Jenan Conference Hall is fully equipped with multimedia projector, screen and other audio visual equipment and can accommodate 40 people in theatre style and 25 in classroom style. The Business Centre offers round-the-clock facilities and also provides secretarial assistance with communications. The dedicated banqueting team at Delmon International Hotel ensures successful functions and events, offering value for money and the best service to customers. The hotel also has an outdoor catering wing, Theobroma, literally meaning ‘food of the gods’, which is well equipped to cater to small to large events for any occasion. 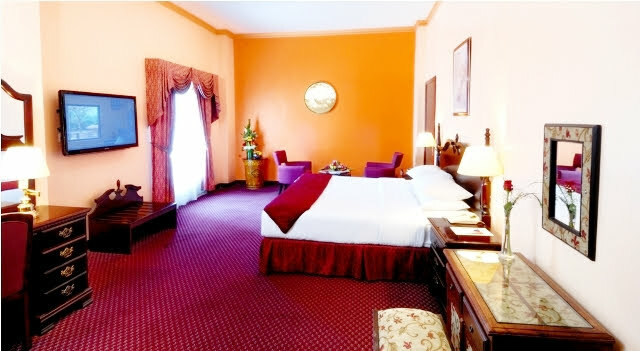 Double Room, Single, Twin Room Interconnecting Room, Suit Rooms. 10 p.m. -2 p.m. - 12 p.m. - 2 p.m.